Home • Europe • Austria • '12 Sep: Vienna, Austria Click HERE and all the pictures will get big. 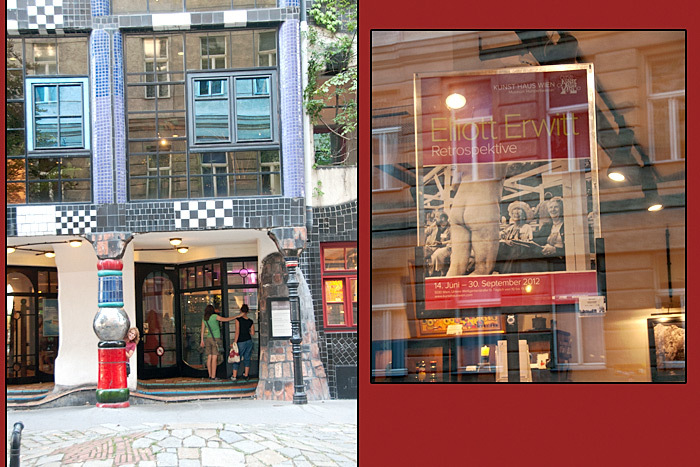 As well as Friedensreich Hundertwasser's work they devote a floor to traveling exhibits and we saw a retrospective of Elliott Erwitt's photographs. Windy just Had to have that poster for her office so I got to give it to her for her birthday.